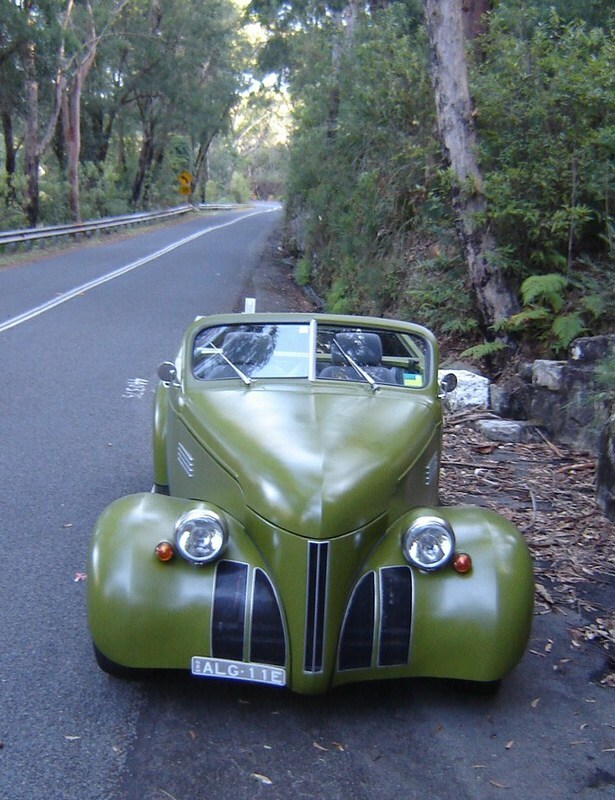 Have you ever noticed how the coolest cars always have a really cool build story to them too? 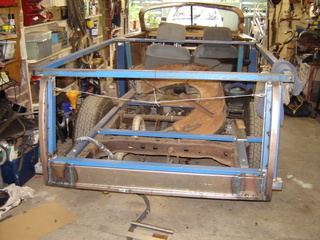 The build of Todd’s roadster pickup is no exception. The Poncho was bought sight unseen off ebay and was and truely rooted when she showed up on his doorstep. Seems the seller was a little coy about the amount of rust, some major hits, and oh yes – it had been rolled at some point too! Now most guys would have likely cut their losses and kept looking for something a little more complete. However Todd is either crazy or a masochist, because he could still see potential in the rusty piece of crap. 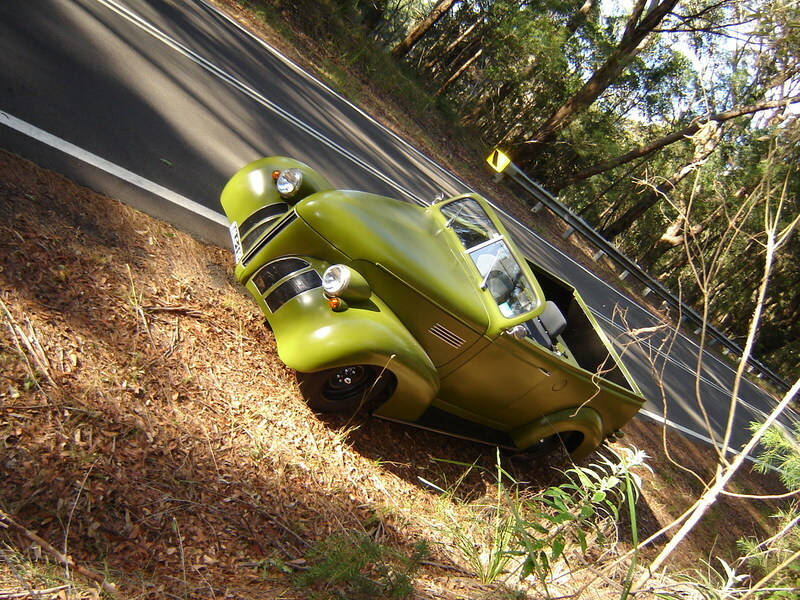 He started by chopping it up into pieces and figured he had the makings of a roadster pickup with what was left. 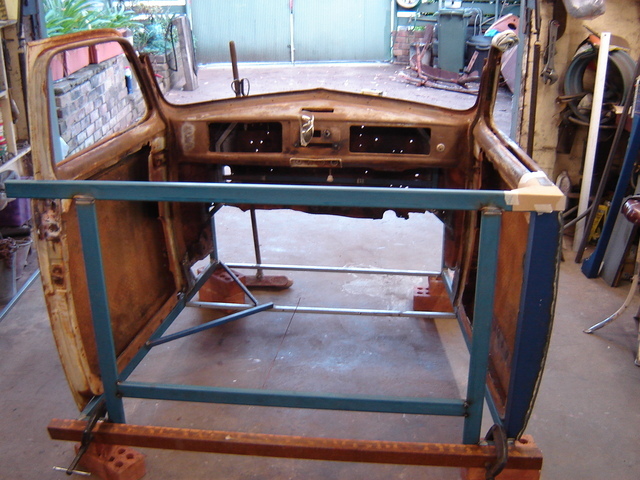 A Hilux donated it’s chassis, and motivation was found in the form of a 5L/5 speed combo lifted out of a VN Commodore (as well as a bunch of other parts). 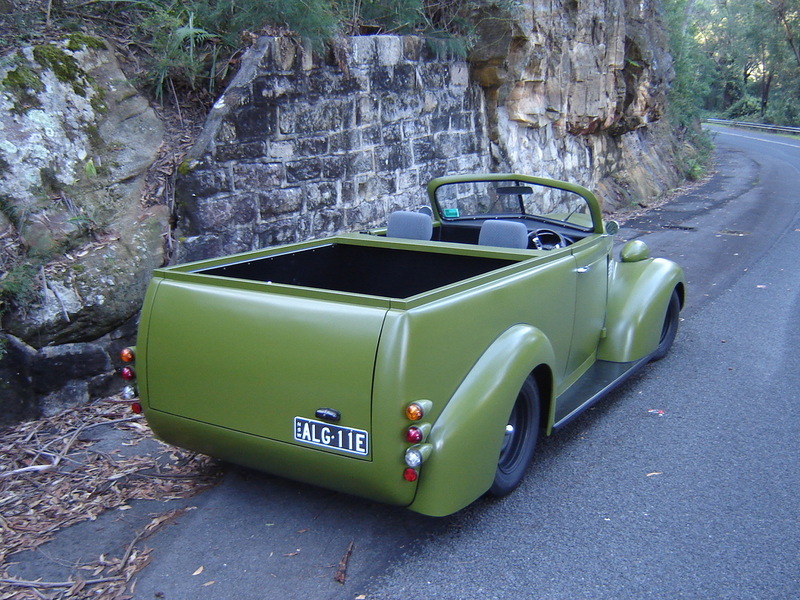 From there he simply fab’d up a new framework for the tray and promptly made a tailgate skin from a VL bonnet and a rear quarter from a Camry roof. 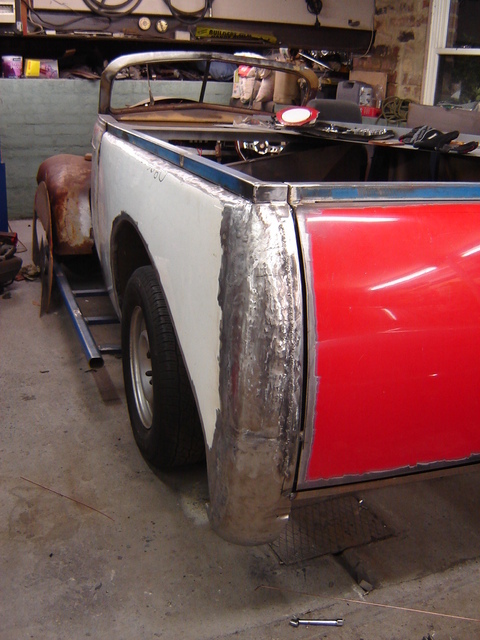 Some hammer formed corner sections, a rolled pan and hey presto – she was looking like a hot rod! Of course when you say it like that it sounds simple and straightforward, but as you can see by the pics it was a mammoth task! For a more detailed run down and more pics check out the build thread here. Thanks Hewey….Todd’s done himself proud there eh! !